We are currently developing the online merchandise area. This will take some time to set up with images and sizes for male, female and kids clothing and swimwear. We will announce it by E-newsletter when it is operational. The next opportunity to purchase clothing and swimwear will be on Club Registration Day on Saturday 19th September – from 11.00 a.m. to 3.00 p.m. Some items are limited so this is an ideal time to get in early as the item you want may be sold by the start of the season. We have not ordered additional swimwear or clothing in during the off-season due to the cost of keeping merchandise on hand. We will take back orders for items out of stock but be aware that there may be a wait on some items. Clothing and Swim Wear will be available every Saturday at the commencement of “Nippers” from 12.30 p.m. to 2.00 p.m. Please endeavour to attend during this period as Merchandise Sales is done by volunteers and it is not reasonable to expect them to be on duty all day. No merchandise will be available after 2.00 p.m. on a Saturday. 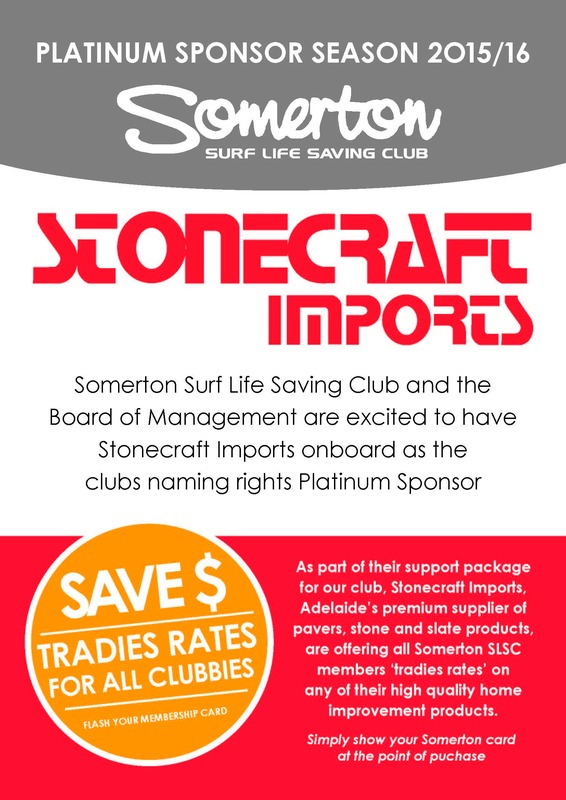 The Somerton Surf Club aims to provide good quality clothing at reasonable prices for members, and in some cases this is subsidised by the Club or through sponsorship.